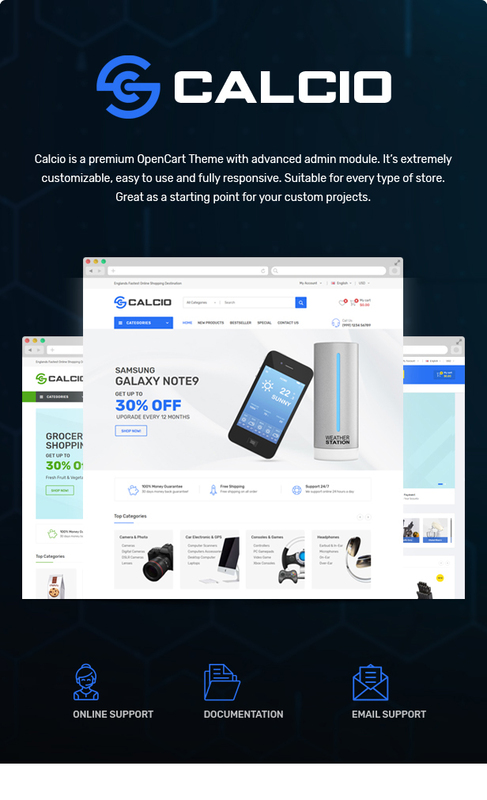 Calcio is a great multi store opencart 3 theme which is fully customizable and suitable for online stores, especially for multi-category store with multiple branches and products such as digital, furniture, food and home appliances. Suitable for every type of store. Great as a starting point for your custom projects. 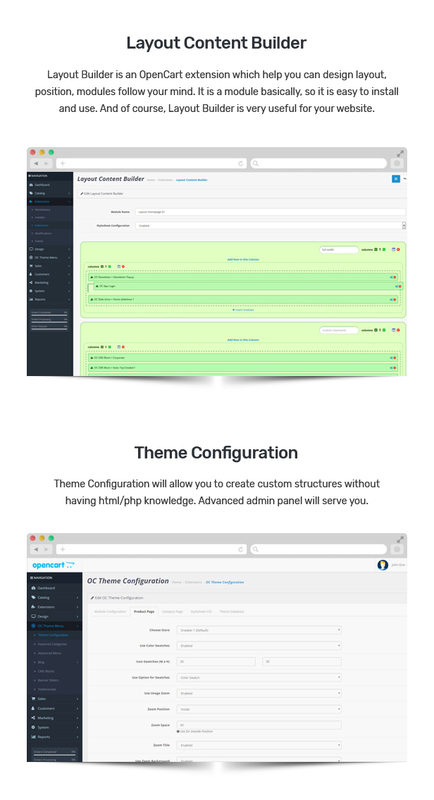 Calcio Opencart theme includes 15+ extensions. Advertising will be shown beautifully in Slideshow with large images, smooth effects of text and images. Vertical mega menu shows many product categories and links to blog, contact page are displayed on horizontal megamenu. 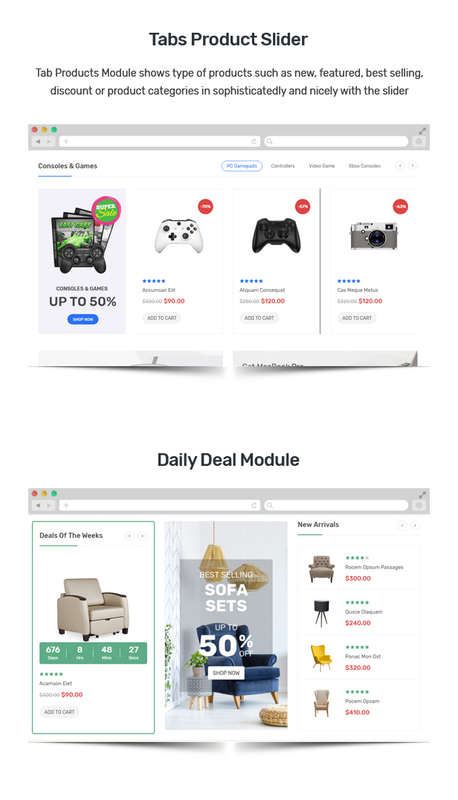 This theme uses many Tab Products Slider to show categories or all products slider in each tab. Thumbnail images of each category with sub categories are displayed with Featured Category module. 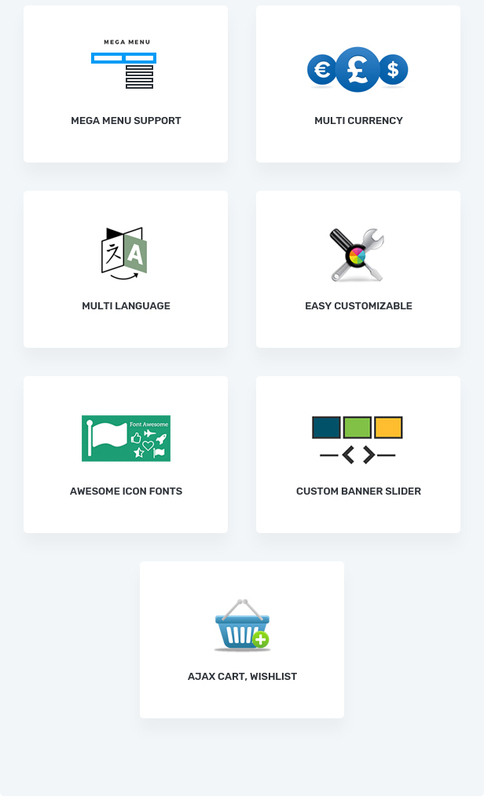 Layout Content Builder helps you to save a lot of time when creating your theme. By drag and drop content element, you can create your expected layout easily. Logo, Search by category, top cart and top links are in header – small space in the page. Footer is bigger with contact information, other links, Instagram, social network icons, paypal, copyright. Let Calcio Responsive Opencart theme become your store and help you in your online business.